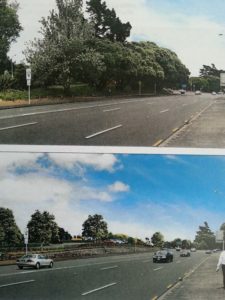 Over a 2 day hearing commissioners have been considering the evidence regarding Auckland Transport’s Notice Requirement to remove 6 mature pohutukawa trees to provide for an additional left turn lane over 820 Great North Road. The Waitematā Local Board, as the landowner for this small patch of open space opposite MOTAT, has opposed Auckland Transport application. Here is Shale Chambers’s statement to the hearing on behalf of the Board. 1 Good morning, my name is Shale Chambers. I am the Chair of the Waitematā Local Board. 2 The Waitematā Local Board represents a diverse area including Auckland’s City Centre, the city fringe retail and commercial areas such as Newmarket and Ponsonby, and inner city residential suburbs including Parnell, Grey Lynn and Westmere. Local Board’s boundary with the Albert-Eden Local Board and on the western side of the intersection the boundary runs along Great North Road as far as Motions Road. (a) the Local Board’s position on the proposal. 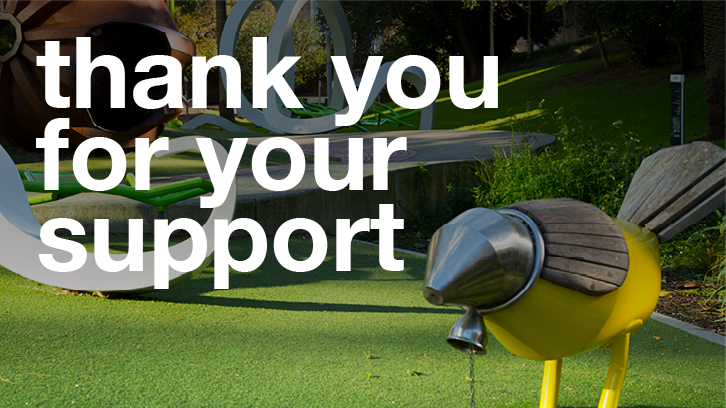 (b) the significance of the Western Springs, Zoo and MOTAT precinct for our local community. (c) the community’s concern over the loss of amenity and significant environmental impact that would result from this project continuing as devised by Auckland Transport. (d) the Local Board’s concern about how the present proposal has come about. (a) the need to protect and enhance the natural environment. (b) development of a connected, healthy transport network. (c) maintenance of a distinctive, high-quality built environment that embraces its heritage. 6 In terms of effective, integrated transport options, our community has asked that we advocate to ensure transport decisions provide the best outcomes for our communities and our natural environments. Lukes interchange. The Local Board gave approval to stage 1 of the proposal, recognising the importance to the road network of the interchange upgrade. Nearly one quarter (23%) of the Auckland region’s employment is in the Waitematā Local Board area. So large numbers of people commute from outer suburbs into the area, particularly into the City Centre and commercial fringe, on a daily basis for work, education, shopping and entertainment. Ensuring safe, efficient and effective traffic flow on main arterial routes in our area is therefore significant. 8 However, one of the key targets in the Auckland Plan is to ensure no loss in the area of significant landscape, natural character and natural features. As Auckland continues to develop, our challenge is to do this in sympathy with the scale and character of existing landscapes. 9 The Local Board is supportive of any upgrade of the intersection of Great North Road and St Lukes Road, subject to the upgrade maintaining the amenity and environmental benefits of the site, and ensuring that active modes of transport (pedestrians, cycling) and public transport are properly supported. 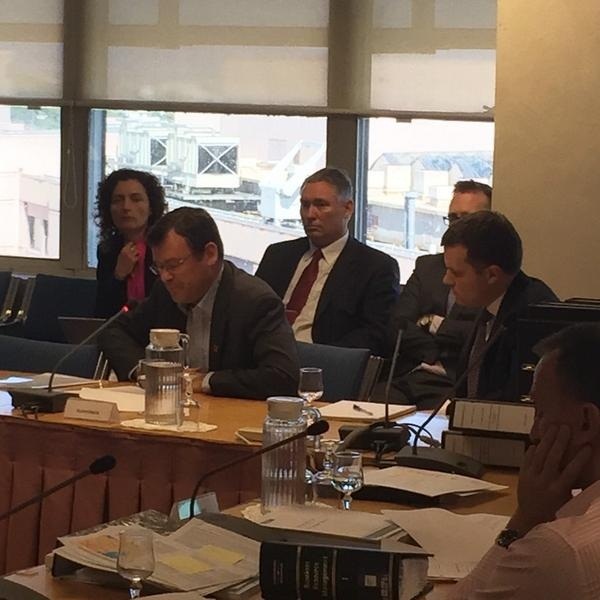 If the Committee shares our concerns about the failure of Auckland Transport to properly address the significant impact of this proposal on amenity, the Board is not in favour of the proposal being confirmed. 10 It is my understanding that the Pohutukawa trees were planted on Arbor Day in 1934 when the land was part of Chamberlain Golf Course. Now 80 years old these historic native trees provide a majestic, notable presence along the southern edge of Great North Road. 11 The trees mark the beginning and/or the end of the Western Springs Park precinct depending on the direction of travel and form a key part of the overall assemblage of park and cultural amenities in this area, particularly the highly-popular Western Springs/MOTAT recreational precinct. This proposal would turn the open space from one which supports the surrounding precinct visually and functionally into an area with little to no open space or landscape merit. 12 The green spaces in Western Springs are also used by a large number of people – particularly families and groups of friends – for socialising, picnicking and sporting endeavours. The pohutukawa trees are of great value in softening the impacts of the roading infrastructure, and providing amenity, shade and protection from the elements for people in those endeavours. They are also important for pedestrians and cyclists – as well as being an iconic inner-city landscape feature in their own right. 13 Removing these trees will result in an irretrievable loss of amenity and will bring about a long- term and significant negative impact on the quality of the road side environment for walkers, cyclists and drivers . 14 Of note is that in the 2010 Auckland City Council prepared a Pt Chevalier / Western Springs Precinct Plan – Future Planning Framework identified for the precinct that any such demand and growth in this area needs to be planned in a manner that will preserve the precinct’s natural, heritage and open space values. 15 The 2050 Aspirations of the Precinct Plan was that across the wider precinct area natural and cultural heritage features and ecosystems will be protected and enhanced, whilst connections to and between open space and key sites within the precinct will be safe, attractive and encourage ease of use and alternative transport options (cycling and walking). The precinct will become a premier recreational and open space destination, with quality open space and access to coastal reserves. 16 The plan speaks very strongly of the need to acknowledge not only the overall integrity of the precinct but the vital importance of building on the ecological and landscape values that make up the whole. 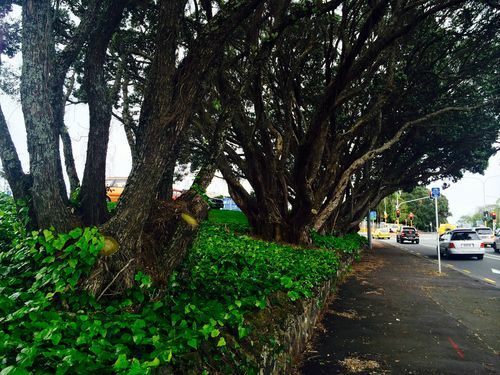 It specifically mentions the importance of restoring and enhancing native forests within the precinct, including those along watercourses and in open spaces and along the SH16 motorway corridor. 17 The document identified the need to develop a master plan which encompassed MOTAT, Western Springs Stadium, the Zoo and included 820 Great North Road, due to its national and regional importance as both a recreation destination and a significant landscape feature which plays an important ecological role. Development of master plan is due to get underway later this year and will be informed by the Pt Chevalier / Western Springs Precinct Plan. 18 In general terms the Waitematā community’s position on the importance of green spaces and the natural environment is reflected in the Waitematā Local Board Plan which I have already referred to and the general themes identified in that document. 19 But there is also significant wider community concern about this proposal. That there is such concern is demonstrated by the number of submitters in opposition to the project. Proportionally, 98% of submitters opposed the proposal for various reasons. 20 In addition a petition asking Auckland Transport to save the trees has attracted 1471 signatures and a “save the Western Springs Pohutukawa trees” Facebook page has 633 likes. 21 We have heard from the community concerns regarding the significant environmental benefits of the trees. I refer in this regard to the submission of the Tree Council and the fact that the trees reduce roadside pollution by capturing pollutants on their branches and stems. 23 At this workshop and a follow up workshop we made a number of comments about a wide range of issues. 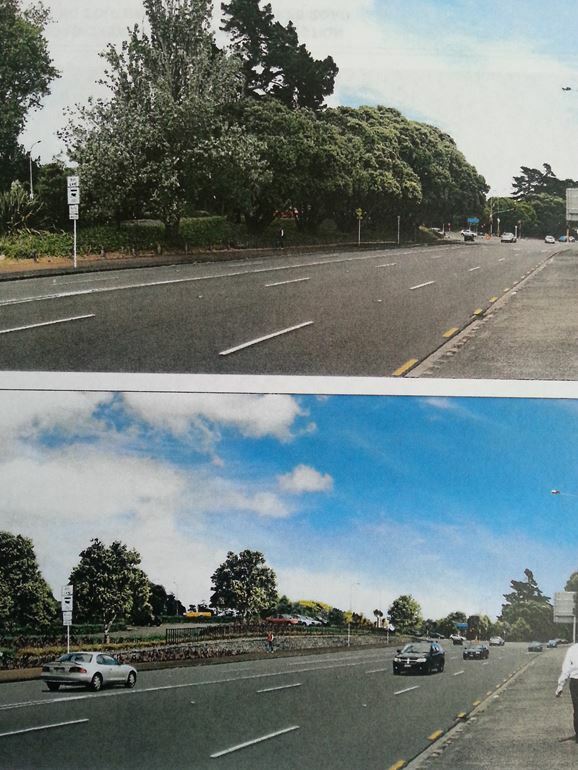 As well as asking Auckland Transport to consider options that retained the 6 mature pohutukawa trees we provided feedback regarding the lack of positive pedestrian, cycling and public transport outcomes. We challenged Auckland Transport to come up with a genuine multi-modal solution that took into account the fact this is Auckland’s busiest cycling intersection (because of the connection to the NW Cycleway) , on the Auckland Cycling Network as well on one of the Waitemata Local Board’s proposed Greenway routes. 24 In addition the Board did not receive an adequate response to requests to Auckland Transport to explain the definition of “peak ”, the underlying traffic growth assumptions and the congestion issues the intersection design was intending to resolve. 25 Our overriding impression was that despite the options available, Auckland Transport was not willing to take anything but a business-as-usual approach intended to only maximise benefits to motorists. Overall we are of the view that Auckland Transport considered the Board’s views as a nuisance and minds were already made up about the preferred option. 26 While we understand that ultimately it is for Auckland Transport to make its application as it sees fit, the Local Board considers that our views and the concerns we expressed have not been considered genuinely. We believe that the assessment of options is merely back-filling. The expert evidence we have engaged indicates that we are right to have held those concerns. 27 I want to put the Local Board’s position in clear terms. As I understand it, Auckland Transport has identified its preferred option based on certain transport outcomes it wishes to achieve but at the expense of the trees. The proposal will have a significantly adverse effect on the environment because the intersection will lose a number of trees of real heritage, environmental and amenity value. But on Auckland Transport’s own evidence, supplemented by the evidence of our own traffic engineer, another option, yet to be explored in any great detail, would achieve almost all of the same beneficial traffic outcomes. We accept that Option 6 is not perfect either in terms of pedestrian and cycling outcomes, but if Auckland Transport cannot meet our challenge, it is far preferable to ensure that all options that will not have the effect of removing important vegetation are explored. 28 In terms of planning for development in this city isn’t it important to explore any and all options that will enable progress without significantly affecting the environment? 29 Is it acceptable that a requiring authority makes decisions and consults with a closed mind to alternatives that will not have an unnecessarily severe effect on the existing environment? 30 As one local resident has thoughtfully put it “the trees provide a buffer of civility amid (what will become) 19 lanes of tarmac”. The Waitematā Local Board believes we owe it to all Aucklanders to achieve the best possible outcome.